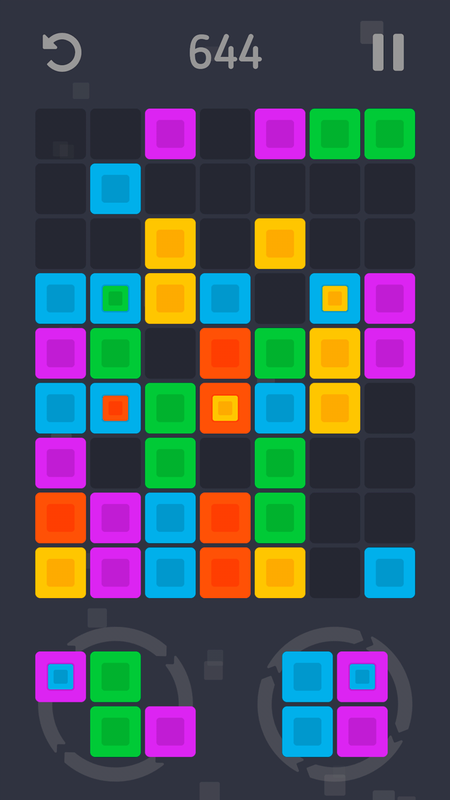 Your goal is to place figures of color blocks on the game field and create groups of three or more blocks of the same color that will be deleted and make space for new figures. 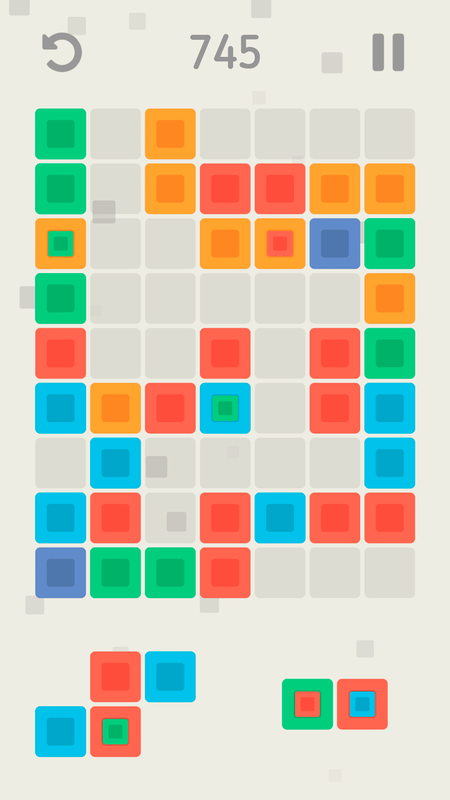 The more blocks you remove at once, the more game points you will get. 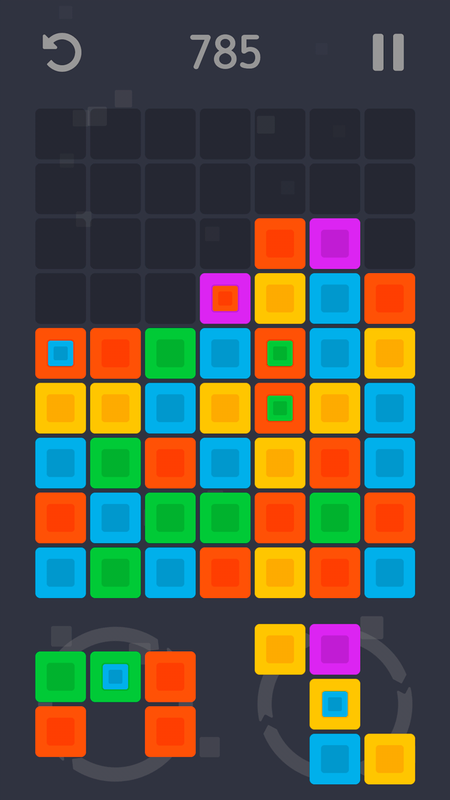 At the beginning of the game all the figures consist of blocks of the same color, but with score growth will appear blocks containing another blocks of a different color. After the removal of such blocks, the internal blocks will increase and occupy the places of the removed blocks. Did you make the wrong move? 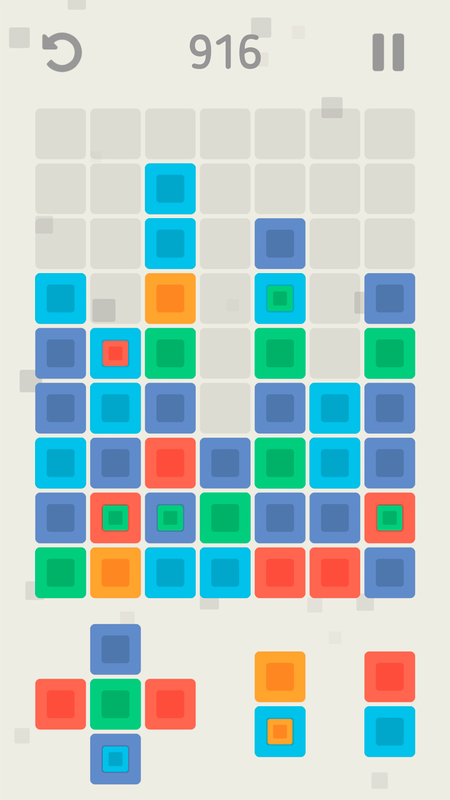 Use the undo button to undo your last move. Your game is automatically saved when you exit, so you can interrupt at any time and continue the game from the same place. Your goal is to survive as long as possible and score as many points as possible. Gravity Roto: blocks from placed figures will fall down until they collide another blocks or the edge of the game field, only after the fall they will be checked for match, the figures can be rotated.